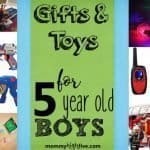 Birthdays, Christmas, and Hanukkah are magical, present-filled holidays for children, but the task of gift buying can be overwhelming and stressful for parents. What presents are worth the money? Which ones will have staying power? 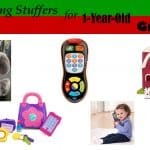 What kinds of toys will help your child learn and grow? Stressing over all of these questions can put a damper on what should be a joyous occasion. But your stress doesn’t have to be a prerequisite for your child’s fun! Instead, try choosing a few gifts from our list of some of the best. That way, you can focus on seeing the joy on your child’s face instead of worrying about the what-ifs or the should-haves. 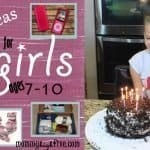 What to Look For in A Gift for A 6-Year-Old Girl? A gift that will engage her attention long term. You want a gift that will keep your girl excited and entertained. Something she will enjoy for a few weeks and then put aside is hardly worth it. An option that will challenge her. Kids often enjoy a small challenge they can accomplish. Consider something to challenge her intellect, her motor skills, or her creativity. Something that will help her socialize. With kids these days so focused on electronics, giving your girl a gift she can enjoy with friends can help her gain important social skills. A gift that fits her interests and personality. Depending on your girl, you might want to give a gift that fits her interests. 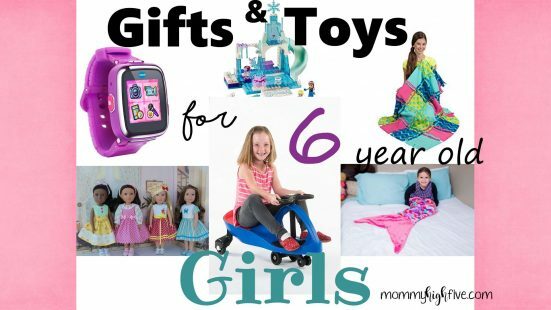 For example, a girl who loves Disney’s “Frozen” would likely love the LEGO Disney Frozen Anna & Elsa’s Frozen Playground on this list. However, some girls like to try something outside of their usual interests. 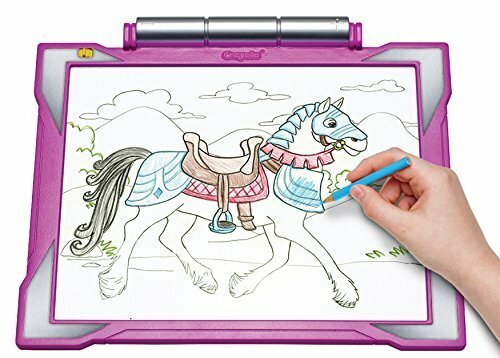 Your aspiring artist will love this illuminated tracing pad from the trusted Crayola brand. To create masterful drawings, your child can simply place one of the tracing sheets over the LED-illuminated tablet, place a blank paper on top of that, and trace the image she sees. The outside frame will hold the papers in place for easy, non-slip sketching. After the basic image is traced, the real fun begins. Your child can use the graphite pencil and 12 colored pencils to add shading and color to her image. The package also includes 10 each of the tracing sheets–with horse and fashion show themes–and blank sheets of paper. There are also additional free, downloadable templates on the Crayola website. If you have a budding fashionista with her own sense of style, she’ll love making her own headbands to accessorize her outfits. 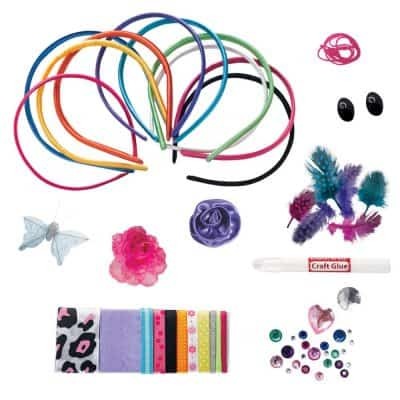 This kit includes everything your child needs to make 10 unique, colorful headbands, including satin headbands in rainbow colors plus black and white, assorted ribbons, fabric flowers, a fabric butterfly, rhinestones, and craft glue. This project is a great way for your child to express her creativity. And unlike some crafts, which get made and eventually thrown away, these headbands will get a lot of use since they can actually be worn! They also make a great group craft for a play date or party. 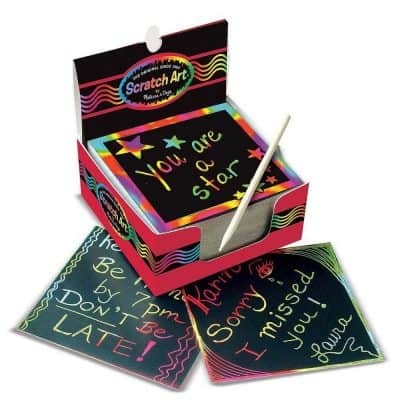 Make writing practice fun with these 4″ square note sheets. Using the included wooden stylus, your child can reveal the bright rainbow colors that are hiding beneath the black matte coating on top of each sheet. This set comes with 125 notes and a reusable dispenser box for convenience. These notes are great for doodles, labeling, reminders, lists, or surprise notes for loved ones. 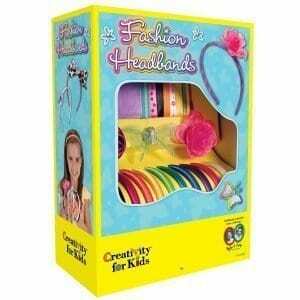 Whatever use your child puts them to, she’s sure to have more fun doing it in colorful rainbow style. For a girl who loves her accessories, there’s no such thing as too much bling. And it’s even better when you can design it yourself! 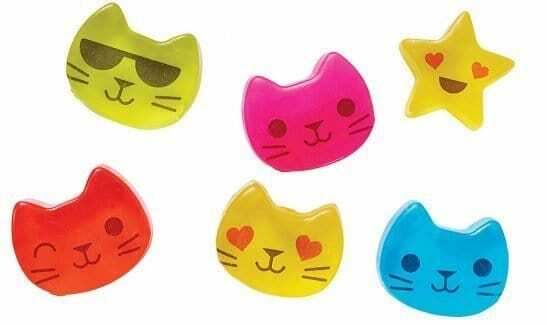 This set of DIY bracelets includes 12 hard plastic bangles in a variety of bright colors. 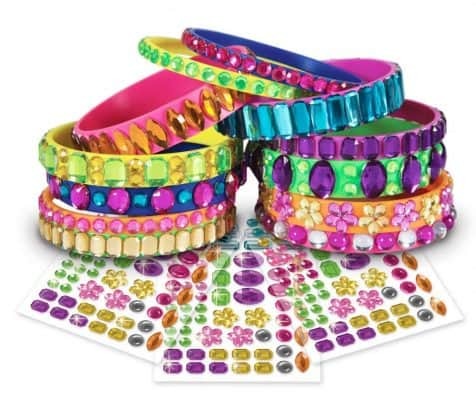 It also has more than 700 jewel stickers that your child will love using to make her own sparkly creations. Because the bracelets are decorated with stick-on jewels, this is a mess-free craft that requires no adult supervision. When the craft is finished, your child will have a dozen unique bracelets in just her size to use for dress-up or as the perfect school outfit accessory. Despite its seeming simplicity, this classic toy can entertain for hours. From the Cup and Saucer to Jacob’s Ladder, your child will learn how to make five different string figures using just her 10 fingers and a loop of colorful string. 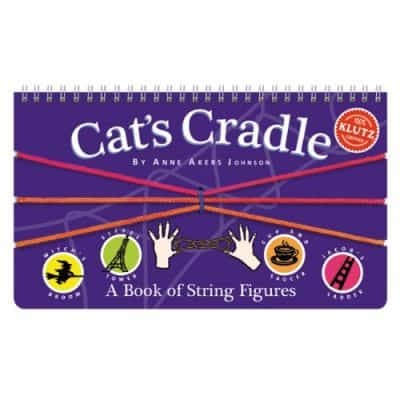 The 36-page instruction book also teaches several two-player string games your child can play with you or a friend. This game improves hand dexterity, of course, but it also teaches about following instructions, concentration, and patience. In the end, your child will be rewarded with the satisfaction of creating recognizable images just out of string. Magic! You can never have too many blankets around the house, and your daughter will love making her own with this no-sew quilt kit. Included in the package are 24 precut fleece squares with several cuts made along each edge to create strips of fabric. These can be tied to the strips on the other squares to create a full blanket. The squares come in solid color, zig-zag, and polka dot prints. Your child can arrange them as she pleases to create her own design. The finished quilt measures 38.5″ x 54″ and is easy for a 6-year-old to complete using the easy, simple instructions provided. Throwing around a frisbee is a great outdoor activity for the whole family, but actually throwing and catching a frisbee can be really difficult for kids (and some adults, but let’s not judge). Enter frisbee rings, a modified version of the traditional frisbee that has a hole in the center for straighter flying and easier catching. 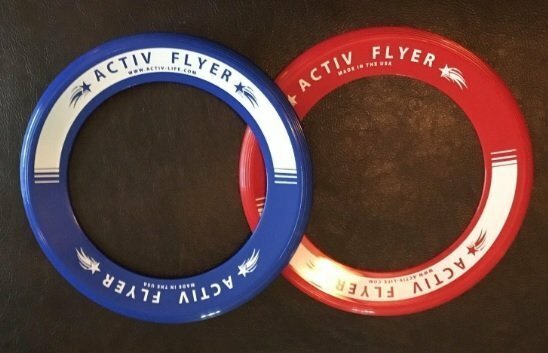 With a hole in the center, these rings are 80% lighter than traditional frisbees and can even float on water, making them perfect for frisbee fun at the pool, beach, or lake. There are two frisbee rings in each package, so the whole family can join in on the fun. While these frisbee rings typically fly between 15 and 30 feet, they can actually travel up to 80 feet without wind. Get your kid off the couch and outside for some fresh air with this fun, unique ride-on toy that has no pedals or gears. 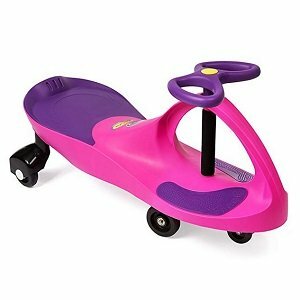 Unlike other similar toys, it is simply operated with the twist of a steering wheel located at the front. To ride it, your child just sits on the patented safety seat, puts her feet on the footrests at the front, and quickly turns the steering wheel back and forth to move forward. This little car toy can reach up to six miles per hour on smooth, flat surfaces and can accommodate up to 220 pounds. Its quiet operation makes it ideal for outdoor or indoor use, and its design helps teach coordination and balance. It requires easy assembly to reach its completed size of 31″ x 14″ x 16″. Any game that can get your kid playing outside is better than any game she could play on a screen. (Though those games have their merits, too!) 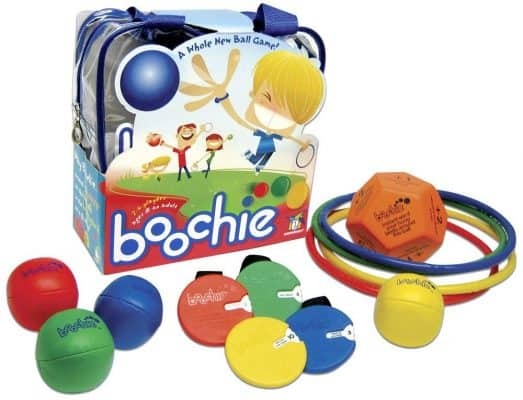 BucketBall is one such game, and it’s perfect for young kids to play with a friend or several. To play, each team sets up their six buckets in a triangle shape, just like you would with bowling pins. Then one player from each team tries to throw a ball into one of the other team’s buckets. If they make it, that bucket gets taken out of the game. The first team to get rid of all of the other team’s buckets wins. While the rules say to separate the two teams’ buckets by 15 to 25 feet, that distance can be shortened for younger players. This set comes with everything you need to play, and it all fits in the included the tote bag. 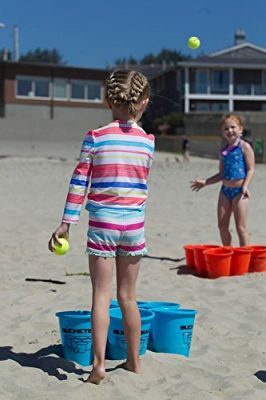 It’s lightweight–about seven pounds–and is easy to take to the park, on a camping trip, or to the beach or pool (bonus feature–the buckets float!). With a lifetime warranty on any parts, why wouldn’t you get this game? There’s possibly no kid’s toy that is as classic as a kite, and this one is both beautiful and easy to use. Designed specially for kids, it is simple to put together and has a kid-friendly handle. Its greatest feature is that it’s very stable and can be easily launched in nearly any wind conditions. Your child will love this kite’s colorful rainbow design, while you’ll appreciate the durable fabric construction of the body and tail. 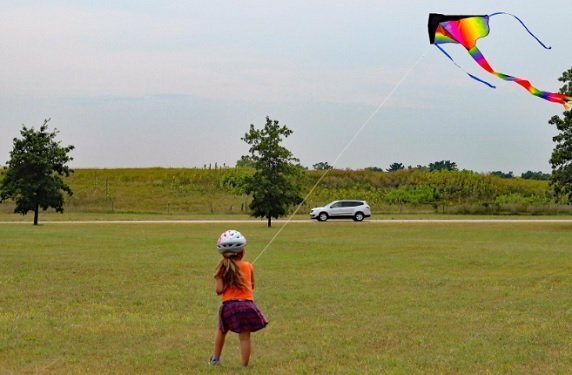 And as your child develops her coordination and learns to launch and fly this kite on her own, you’ll both love the joy she feels as she experiences success. Whether your daughter is a big fan of Merida or you simply want to introduce her to a unique, interesting hobby, this beginner bow and arrow set is a great introduction to archery. At 33″ long, the bow is designed specifically for children 4 to 7 years old. It has an 8 to 13 pound draw weight and a draw length range from 16″ to 24″. Included in the set are the bow itself, finger rollers, a sight pin, two Safetyglass arrows, a quiver, and an arm guard. 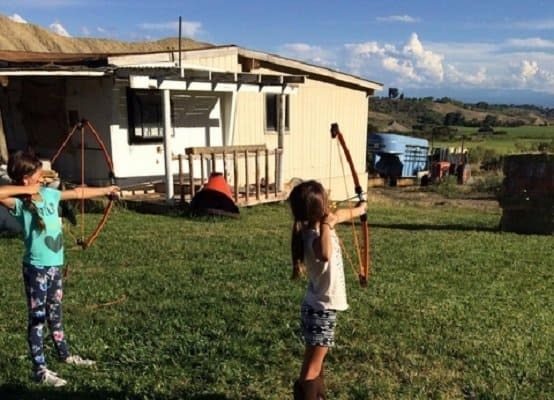 The bow can be used by either right-handed or left-handed children, and it can easily transition to a youth compound bow if your child continues to be interested in archery as she grows. If she decides not to pursue archery, this affordable set is still a much better choice than the toy bow and arrow sets out there, which cost about as much but don’t shoot straight and typically break after a few uses. If your daughter enjoys other outside activities she might enjoy the Girl Scouts. Designed for two to four players with a 15-minute average playing time, this lawn game is similar to bocce ball–but a little more fun. The set comes with four rings, four balls, a 12-sided target, four wrist trackers, and a travel bag to store everything in. The game starts with someone throwing out the target. Then each player takes turns tossing her ball and then hoop, trying to get each one as close to the target as possible. The wrist trackers not only keep score for each person but also give the players silly challenges for how to throw–behind the back, over the head, lying down, between the legs, with eyes closed, and more! Each wrist tracker has a different set of challenges, so the game is different for the players every time. Your child is sure to have a blast with this easy-to-understand outdoor game. If you have a kid who loves technology but isn’t quite ready for a smartphone, this smartwatch is the perfect interim gift. In addition to teaching how to tell time on both a digital and an analog clock, it has an alarm, a timer, and a calendar for additional learning experiences. If your kid loves to play, she’ll enjoy the activity challenges, motion-controlled games, and mini logic puzzles as well. 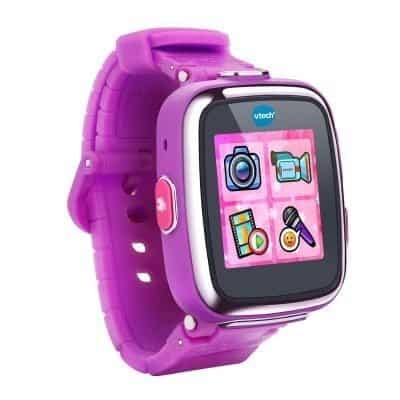 With two cameras–one on the side and one at the front–your child can use this smartwatch to take videos, pictures, and selfies. These can all then be customized using filters, frames, and stamps to be set as new watch faces for fun customization. The watch boasts 256 megabytes of memory and has a built-in rechargeable battery. It is also splash-proof and comes with a micro-USB charging cable for uploading and downloading. Make science fun and practical with this kit for making colorful, fun-shaped soaps. Everything your child needs to make 10 different beautiful soaps is found in the package, including 20 color tablets; 20 blocks of clear soap base; soap molds for making stars, emoji cats, peace signs, cupcakes, swirls, and hexagons; cosmetic-grade glitter; non-irritating soap stickers; and coconut papaya fragrance. The kit also includes cellophane, ribbon, a gift box, a gift tag, two paper boats, and toy fish. These supplies are great for giving the one-of-a-kind soaps as gifts to loved ones. A 36-page book includes detailed instructions and ideas as well as chemistry facts and easy, soapy science experiments your child can do at home. The best way to teach a child is to turn the lesson into a game. That’s exactly the theory behind this fun, math-based game from Learning Resources. In order for players to make their way through the swamp, they will have to perform basic mathematical functions of addition and subtraction. The box comes with a 17″ x 12″ gameboard, four game pieces made to look like swamp creatures, two number dice, and a math symbol die. To determine how many spaces to move on each turn, players roll the number dice and the symbol die and solve the math problem to get their answer. Designed for two to four players, this game is perfect for kids who are starting to learn basic math. As they play, they’ll be practicing their math skills without even realizing it! Make STEM fun with this 20-piece introductory science kit that allows your 6-year-old girl to conduct 11 different experiments. 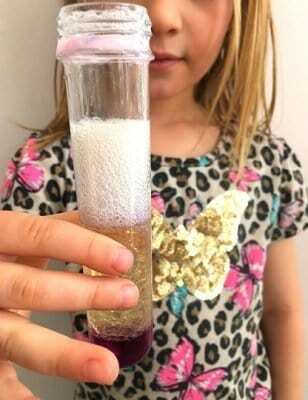 She can make a volcano that changes color as it erupts, create a sunset in a test tube, and grow colorful crystals, among other fun experiments. This kit comes with corn starch, crosslinked polyacrylate copolymer, red cabbage powder, three color tablets, and vegetable oil. It also comes with two cotton swabs, two measuring spoons, pipette, three plastic cups, two sticks, and three test tubes with a stand. Best of all, when your child turns to you and asks how or why a certain reaction occurred, you can turn to the included activity guide for the answers! No need to be a scientist yourself. Your child will love playing gardener with this all-inclusive kit for growing wheatgrass and chia plants. In addition to the seeds, the package includes a 4″ x 6″ terrarium jar, step-by-step instructions, soil, blue sand, river rocks, seeds. It has a wooden stick to help with planting, a spray bottle for watering, bunny and mushroom house figurines, and 15 stickers for decoration. However, the best feature of this miniature garden is the LED light built in under the lid. 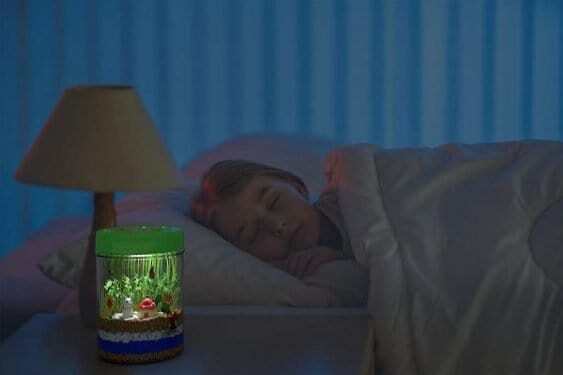 When the sun has set, flipping a small switch will transform your child’s terranium into a magical, glowing garden. During the day, an included micro-USB cable charges the light so it’s all ready for nighttime again. The only thing can could be more fun than going to the playground is building your own! And that’s exactly what this building toy from Learning Resources allows your child to do. 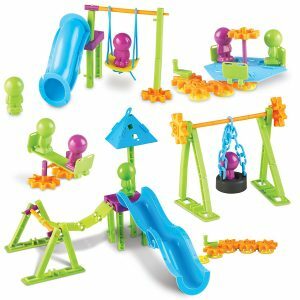 With 104 plastic pieces to work with, your child can build anything from a swing set, seesaw, or bridge to a twisty slide, merry-go-round, or tire swing. Included in this set are 10 challenge cards to show your child some things she can build. Once she’s mastered them, she can create her own designs and keep on building. There are even two little kid figures that can test out the different features of the playground. The activity guide has several worksheets you can copy for repeated use, and there are more than enough connecting pieces for your child to create the playground of her dreams. Here are a few more online resources for science activities for girls. Teach your child all about the good ol’ US of A with this interactive map of the United States. A multi-award winning toy, it can be hung on the wall or laid on the floor. 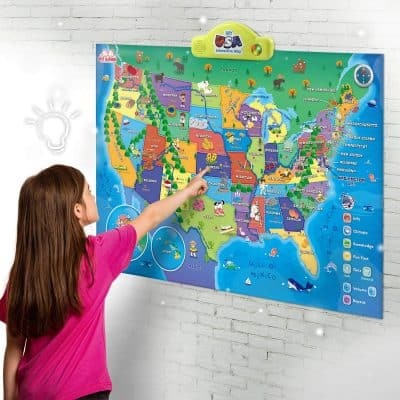 With just the push of her little finger, your child can learn the name, capital, largest city, climate, historical facts, and fun trivia about each of the 50 states. There are more than 500 facts in all! The mat also sings the national anthem, so your child can learn to sing it herself. There is also a quiz mode with two levels, basic and advanced, in which the map states a fact and your child touches the appropriate state to give her answer. It requires three AAA batteries, which are included, and has a two-minute automatic shutoff to save those batteries from being drained. Every Frozen-loving girl who listens to “Let It Go” stomps her foot on the ground and raises her arms above her head as she pretends to build her own beautiful ice castle. But with this LEGO set from Disney, she won’t have to pretend anymore. 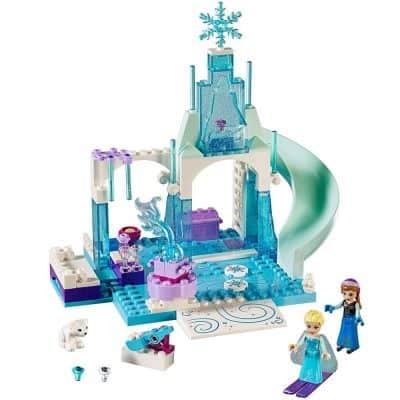 Elsa’s castle actually gets an upgrade with this design, as it includes a slide, snowball catapult complete with little plastic snowballs), and rotating fountain. It also has a ramp for skiing. As with most LEGO sets, this one comes with several figures for imaginative play, including Anna and Elsa dolls and an adorable polar bear cub. With 94 pieces in all, the finished ice castle stands two stories high, or 7″. It is also 7″ wide and 5″ deep. It is part of the LEGO Juniors collection, so it is easy for children ages 4 to 7 to build using the instructions. For some reason, kids seem to love gemstones. That’s what makes this gift an absolute goldmine (hah, a pun!). Your child will feel like a real miner as she uses her chisel, brush, and magnifying glass. Digging through a brick of dirt, she will find 15 beautiful gemstones. 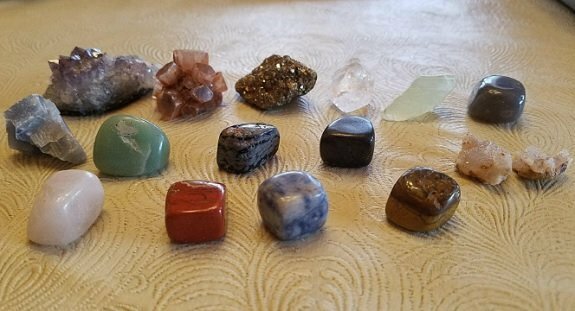 From pyrite, tiger’s eye, and quartz to amethyst, obsidian, and aventurine, your child is sure to love adding these gems to her collection, if she has one, or starting one if she doesn’t! This set also comes with a 16-page guide that names each type of gem, thereby aiding in the identification process. It also teaches about how gemstones are formed and then mined. If your daughter wants to learn more about rocks, visit National Geographic’s Geology 101. If you have an imaginative storyteller on your hands, consider getting her these simple story cards. They will provide hours of creative pretend play. 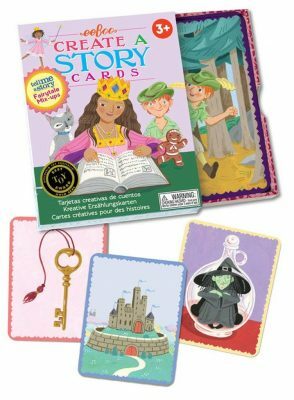 Included in this deck of 36 fairytale-themed cards, there are three different categories–characters, locations, and objects. The purpose of the game is to create a story, either logical or silly, using one card from each of the categories. Your child’s critical thinking skills and imagination will be stretched and strengthened as she builds unique stories. In addition to the cards, the box comes with instructions for different games and activities. A sliding tray box keeps the cards safe and contained when not in use. Sometimes the best toy for a little girl is a simple doll. With a lifelike look, styleable hair, trendy clothes, and fun accessories, an Our Generation doll isn’t exactly simple, but it is awesome. There are tons of different dolls to choose from in the collection. Your daughter can pick one that looks like her or one that has the same interests. Whichever doll she picks, your child will love dressing her up to play pretend. All of the dolls are 18″ tall with soft bodies and easy-to-clean vinyl arms, legs, and heads. Their hair is soft and fun to style as well. And with accessories that can be purchased separately, the possibilities for gift-giving are endless! The deluxe version of this doll comes with additional accessories. It also includes a book featuring the doll as the main character, making her truly come to life. Deep down, nearly every little girl wishes she were a mermaid. Heck, sometimes I still wish I were a mermaid! 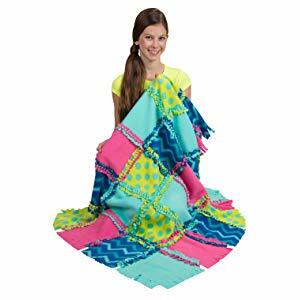 That’s what makes these mermaid tail blankets such a great gift for little girls. Plus they’re warm and cozy. So where’s the bad? 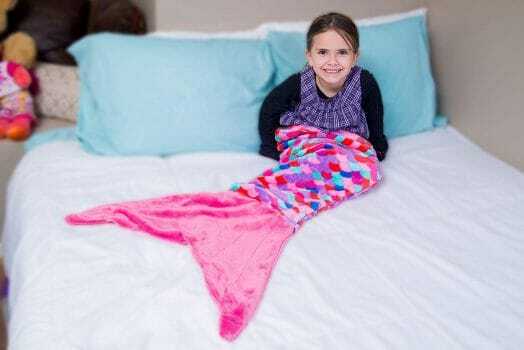 With all of their great qualities, there are a lot of mermaid tail blankets on the market. This one is special in that it has a multicolored scale design rather than being just a solid color. They are also made from thick, soft fleece, and their enclosed design prevents heat from escaping. Double stitching at the seams ensures they won’t fall apart. Whether your child wants to use her mermaid tail as a blanket for cozy reading, car or airplane travel, sleepovers, or pretend mermaid play, she won’t be able to get enough of it. If your little girl loves changing her outfit five times a day, consider getting her these dress-up dolls. It will cut down on your loads of laundry. 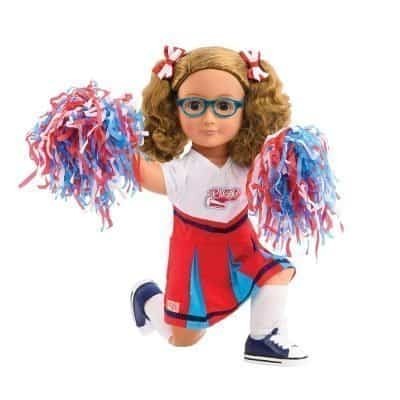 With two 8″ wooden dolls to dress and accessorize, she’s sure to have hours of fun. The 56 magnetic wooden clothing items and accessories give endless combination possibilities. Each doll comes with her own stand, making it easy for your child to dress her. Having two dolls in the set allows for pretend play formed by the ensembles she puts them in. 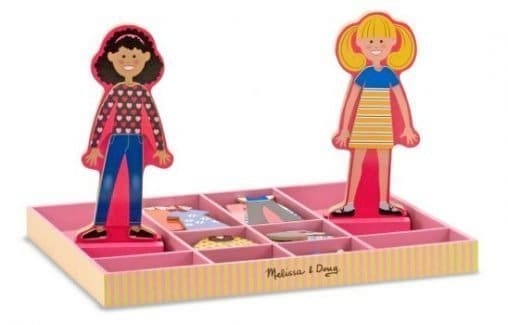 The dolls and all the parts fit neatly in the 10-tray storage box.